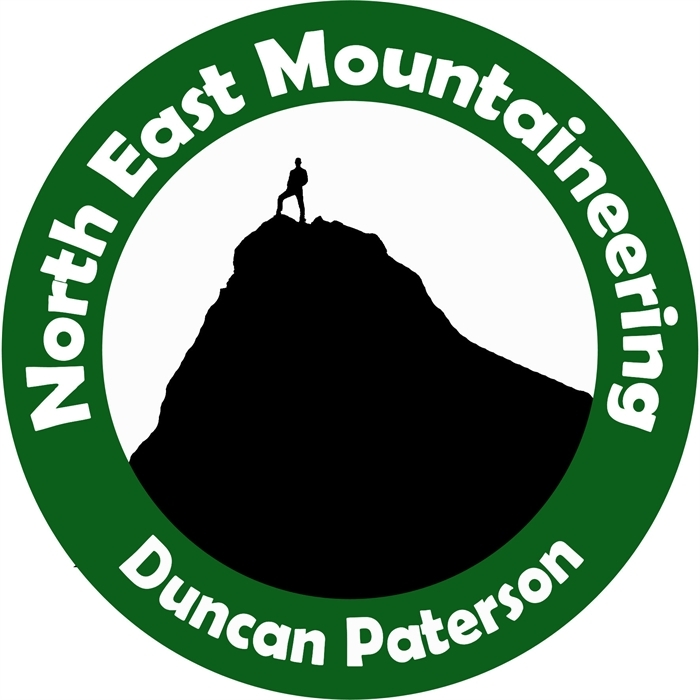 North East Mountaineering is a professional adventure activity provider owned and operated by Duncan Paterson. Since 2004 I have worked in the outdoor industry as an independent instructor and for various companies. This backgound, alongside my personal climbing continues to grow my enthusiasm and love for the great outdoors and all it entails. Based in Aberdeen in the North East of Scotland; the Cairngorms can be seen in the distance whilst accessing some great local crags close to Aberdeen itself. I am currently qualified to the level of Mountaineering Instructor Award and Winter Mountain Leader. These awards enable me to professionally work in all mountaineeirng activities in summer conditions in the UK and abroad as well as Winter walking, skills etc. Being a member of the Association of Mountaineering Instructors ensures that my work is kept to a high professional standard. This is aided hrough mandatory continual professional development and a professional code of cunduct. Activities on offer range from one off, first time experiences and guided days through to advanced instruction on a number of activites. Please head over to my website for further information.